At the advent of the start of BitCoin Casinos, BitStarz Casino was right there. 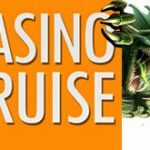 But to distinguish itself from being labelled just another BitCoin Casino, it launched itself into unprecedented territory by really ramping up the unique factor. Firstly, it didn’t just add all the crypto currency payment methods but also balanced it well with all the current flat methods like VISA, Mastercard,ecopayz, skrill, neteller, webmoney, sofort, qiwi and more. So whether you want to play with the most obscure crypto currency like DOGECOIN & LiteCoin or in regular currency like US Dollars, Canadian Dollars or Euros, Bitstarz Casino has got you covered. Secondly, BitStarz Casino did something the industry has been struggling to perfect for the longest time, getting your withdrawals to you as quickly as possible. Theres nothing more frustrating than a casino that will keep your winnings pending for 3 days before they even start processing it. If thats been your experience, then rest assured you need to be hanging out at BitStarz a lot more. At BitStarz Casino you get your withdrawal processed INSTANTLY! So if you’re using an E-Wallet like Ecopayz, Skrill, Neteller etc you will literally get your withdrawal in under 5 minutes of you pressing the button, and this is including on weekends! If you’re withdrawing via bank wire or credit/debit card, it’ll take between 1-3 working days depending on your bank spending zero days or hours in pending or processing. BitStarz Casino is easily the fastest paying casino we’ve come across and if you’re looking for a new place to call home, look no further, you won’t be disappointed. Thirdly, Bitstarz Casino doesn’t just have a generous welcome package but you get lots of random free spins drops hitting your account regularly plus a lot of cash back deals to boot. 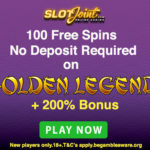 The 2019 BitStarz Casino no deposit free spins offer has just gone live and we’re proud to partner with BitStarz to get you started right away. 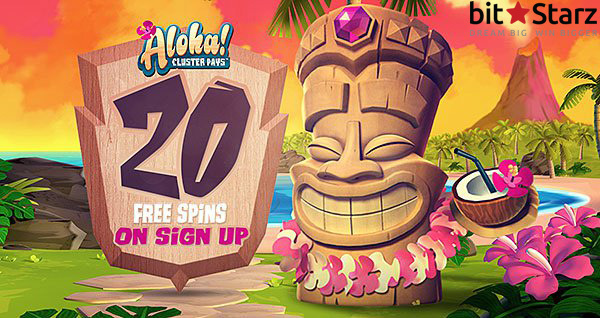 New Players at BitStarz Casino will get 20 Free Spins No Deposit Required just for opening an account. Where Starburst is not available, the FruitZen or Boomanji Slot will be available for you to play the free spins. Simply sign into your account and the BitStarz Casino no deposit free spins will be in the ‘Bonus’ section ready to be activated. All winnings from free spins are subject to wagering requirements of 40x. The maximum you can withdraw from the Bitstarz Casino no deposit free spins offer is 100 EUR/USD/CAD/AUD, 1,000 NOK, 0.05 BCH, 0.5 LTC, 0.05 ETH, 15,000 DOGE, 400 PLN, or 6,000 RUB. Max winnings for GBP is £50. BitStarz has got a whole lot more to offer folks. Besides the BitStarz Casino no deposit free spins be ready to be enthralled by a really decent welcome offer and extra free spins. 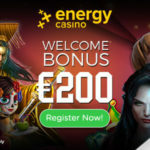 So on your first deposit enjoy a 100% bonus up to €100 + 180 free spins. 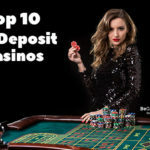 The minimum deposit to qualify for the bonus and free spins is only 20 EUR/GBP/USD/CAD/AUD, 200 NOK, 1,000 RUB, 0.02 BCH, 0.025 LTC, 1000 Dogecoin, 0.012 ETH, 80 PLN, or 0.006 BTC.